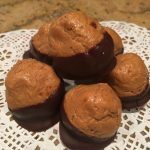 I love finding ways to make different desserts and treats “healthy”. And this recipe is no different! 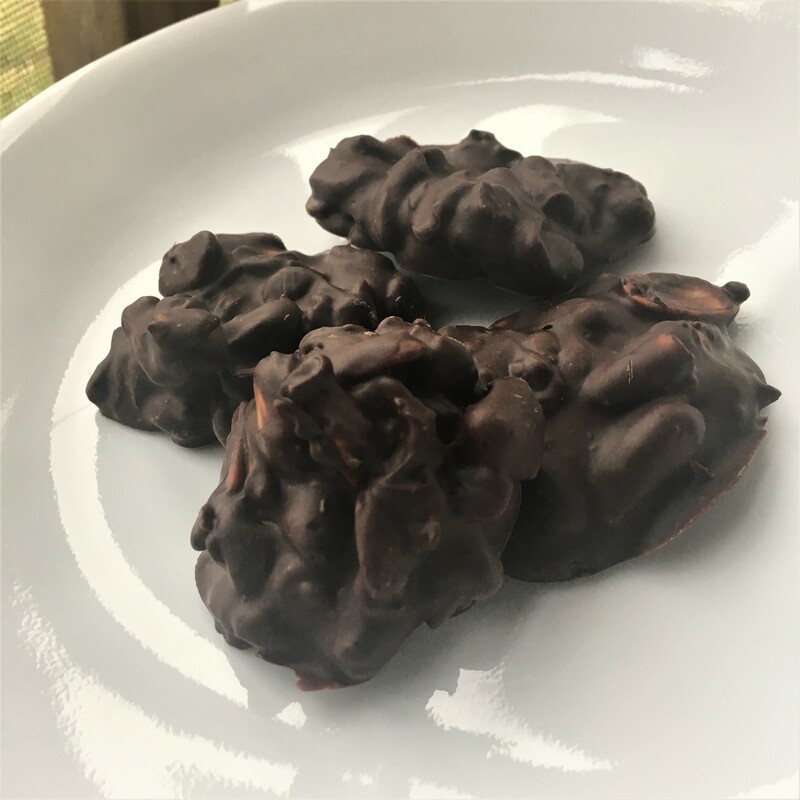 I made these dark chocolate clusters around the holidays for coworkers and they all loved them! 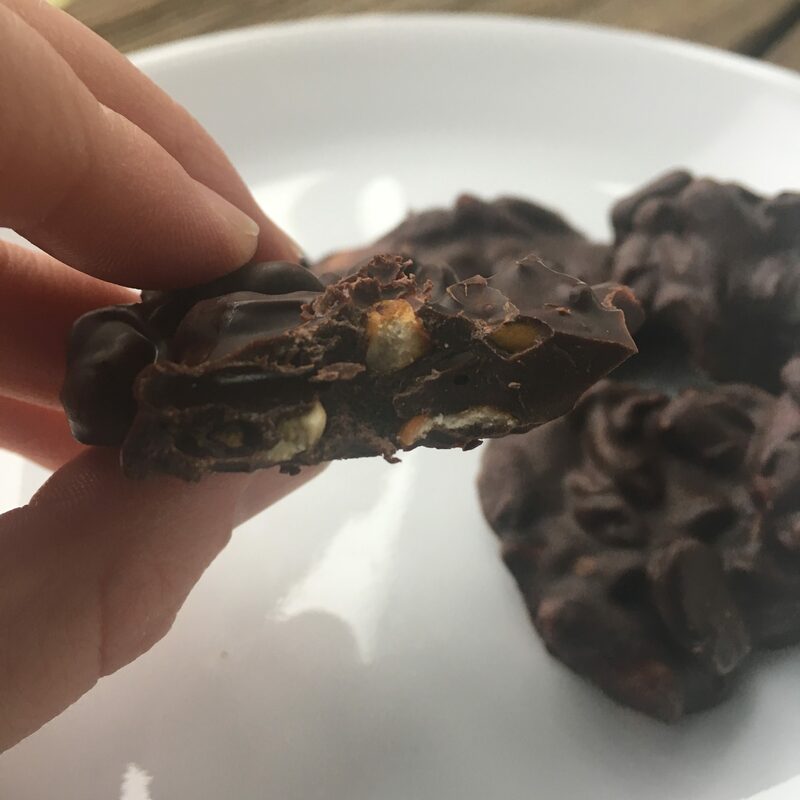 Not only do they satisfy your sweet tooth, but they are super easy to throw together! 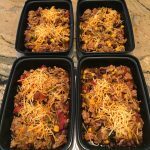 Everything cooks right up in the crockpot! Start by grabbing all of your ingredients. Measure out your pretzels and crush them into small pieces. I did this by putting them in a ziploc bag and crushing them with my hands. This is a great step to have your kids do with you! Then pour the peanuts and crushed pretzels into the bottom of your crockpot. Then add the chocolate chips and coconut oil on top and stir well to combine. 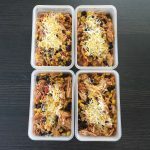 Close the lid of the crockpot and cook on low for 1 hour. Then remove the lid and stir well. 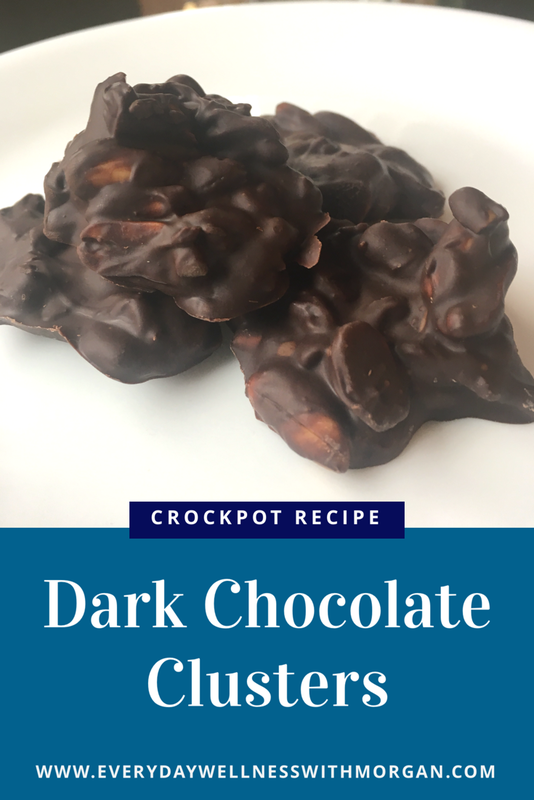 If the chocolate is not fully melted simply put the lid back on the crockpot for another 10-15 minutes. Grab a baking sheet and cover with wax paper. Then scoop large tablespoons of the chocolate mixture onto the baking sheet. Let it cool in the fridge for about an hour until it hardens. You can store the chocolates either in the fridge, or in a Tupperware in cool dry place. 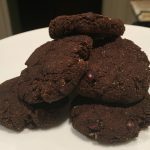 October 8, 2017 2 Ingredient Healthy Brownie Cookies!